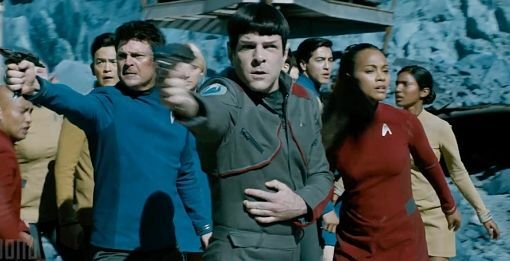 A new Star Trek Beyond trailer was released today, featuring a new track from Rihanna .. Nothing really new in the trailer, so I guess someone in marketing at Paramount just had a lot of free time over the weekend just wanted to keep themselves busy. I wish they had baked me chocolate chip cookies instead.